This book is based upon a unique private collection of photographs and home movies of one Peranakan Chinese elite family, the Kwee family from Ciledug, owners of the sugar factory Djatipiring. It aims to bring the private lives of the modern Peranakan Chinese elite in colonial Java to the fore and asks to what extent ideas about progress, development and ‘the modern’ have affected their world-view and life-styles. This wonderful collection makes it possible to go beyond the public eye and get an inside glimpse into the changing world of a wealthy Peranakan Chinese family as it moved forward in the modernizing landscape of Java. The existing Western images and corresponding perspectives focus mainly on the nexus between the Westerners and the native population, sharing one common theme: none of them visualized the Chinese as ‘carriers of modernity’ or as ‘agents of change’. Such a representation apparently did not fit the public consciousness and general research paradigms in which change, progress and modernity were mainly attributed to Western presence in the region. 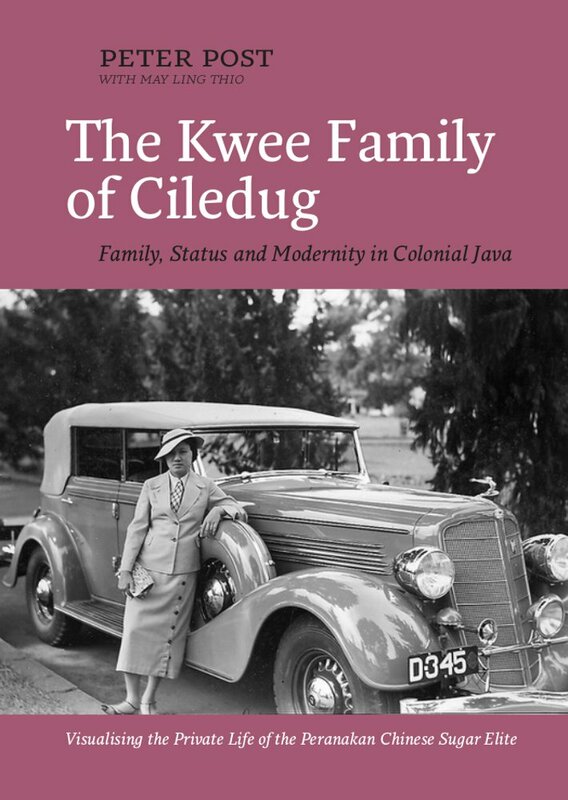 The Kwee family photo albums give the opportunity to redress the balance, thereby offering a new perspective on the social dynamics of late-colonial Java.